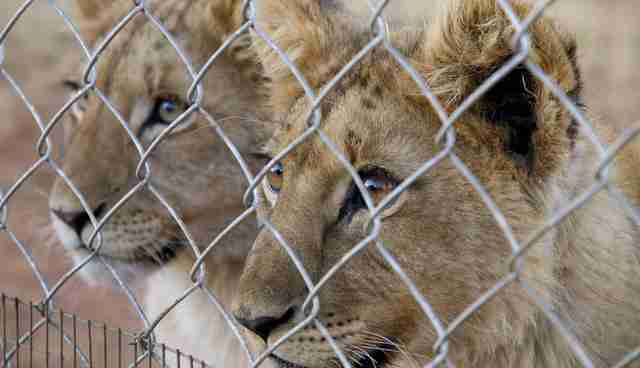 About 7,000 lions are being held in enclosures right now for a reason you may have never heard about. These lions aren't in a zoo. They aren't in a sanctuary. They aren't even being bred to conserve a species, of which there are only 20,000 to 35,000 left in the wild. Pippa Hankinson for "Blood Lions"
It's said that knowledge is power, and the most powerful thing you can do for these lions right now is learn about their plight. 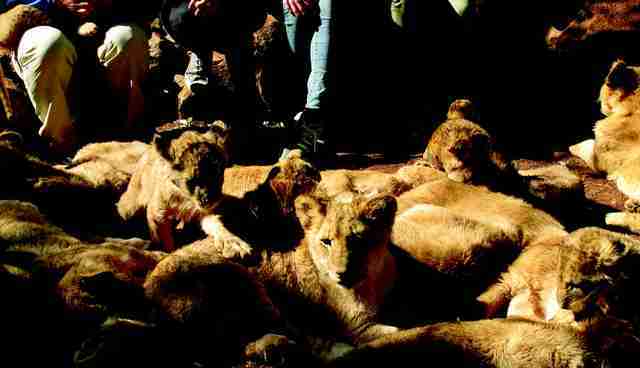 Born in "lion farms," baby lions are raised by vacationing volunteers who often don't know the bloody end that awaits these cubs. Meanwhile, all across the world (although mostly in the U.S.) people go online, look at images of lions ripe for being hunted, and when they find one whose head they'd like to hang on their wall, they place their order and pay thousands of dollars. These clients then travel to these facilities, which largely exist in South Africa (though the U.S. is home to many of these places as well). Once there, the clients are given guns and escorted out into a small enclosure where their lion has been corralled. Sometimes the lion is drugged to make him - the target - easier to shoot. This is what's known as "canned hunting." Ian Michler for "Blood Lions"
Thankfully, people are starting to spread the word about this horrific practice. A new documentary airing this week on MSNBC exposes an industry that profits from breeding endangered animals and then selling them to be shot at close range. 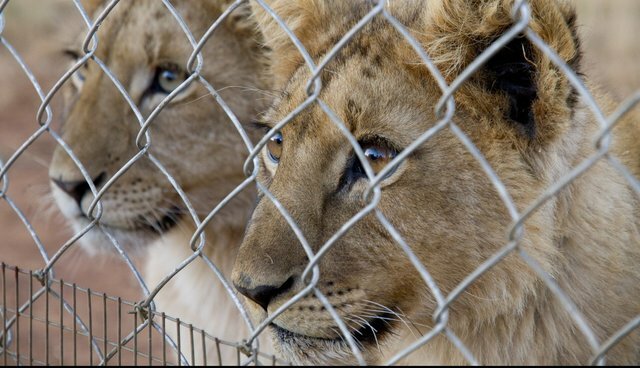 "Blood Lions" at once exposes this cruelty and issues a strong call to end canned hunting, helping people rally together for the good of lions bred for the bullet. Watch "Blood Lions" to learn about the issue, airing Wednesday, Oct. 7 at 10 p.m. ET on MSNBC. Then get involved in stopping canned hunting for good.